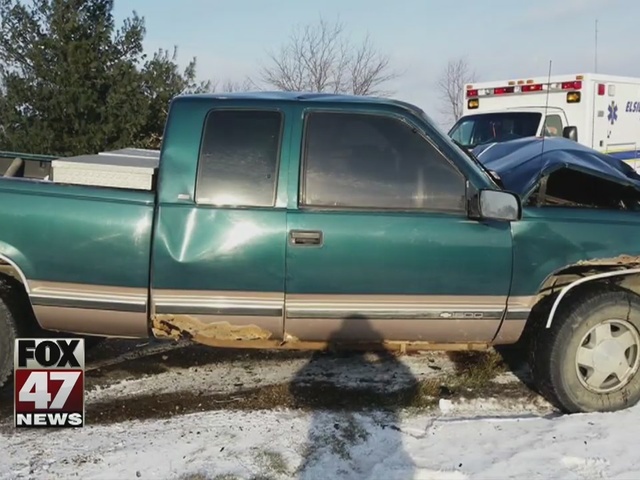 Careless drivers that cause an accident are getting called out on Facebook as part of a new approach the Clinton County Sheriff's Office is taking. The idea is that posting pictures and details of the crash will encourage other drivers to be more careful on the road. Drivers like Joshua Martin hope the posts will work, especially after a distracted driver almost caused him to crash. "Somebody you know just about took me off the road, come over into my lane," Martin explained. He says was able to safely swerve out of the way, but Martin says the driver of the other car was on the phone and didn't realize what happened. "Nobody's ever paying attention anymore," Martin added. The Sheriff's Office says it's responding to more accidents that involve reckless drivers, and it's fed up with drivers like that putting others at risk. That's why it's using Facebook to bring attention to accidents that are avoidable. "Some strong, nice words or what not, to kind of slow down and pay attention," explained Sgt. Jeffery Clarke, who's one of the people in charge of the posts. One of the posts says, "the driver made the choice her phone was more important." It shows pictures of the drivers smashed car and the pick-up truck she rear-ended. "We'll give the location and maybe a couple vehicles involved, but we're never going to publish somebody's name or identity," Clarke noted. Every post about an accident gets thousands of views online, and the Sheriff's Office hopes that will lead to safer driving on the roads. "I think its a lot more graphic when you see a car down the ditch or somebody's car all smashed up," Sheriff Wayne Kangas said. He says the goal is to show drivers how easy it is to cause an accident, and remind them to be more careful behind the wheel. "Just one mistake, one mistake and you kill somebody as a result of you losing control or your vehicle, Kangas said. "We've had some instances of that happening and you can't take those things back." Seeing the posts and reading what happened is something Martin hopes will get more drivers to turn off their phones. "Throw it in the other seat and don't even pay attention to it," he added. Martin says he's just happy his experience was a near miss and not bad enough to end up on Facebook.